How I was scared twice in the dark at The BAC last week. During my London visit this week, I spent a day in the Battersea Arts Centre (BAC) where I saw 6 shows as part of their BURST Festival. I have just come back from spending a wonderful evening watching a fantastic theatre event. It was in London and it was a play by a young Welsh company. It was True/Fiction's newest show, The Exquisite Corpse at Southwark Playhouse. who are these people...not me? 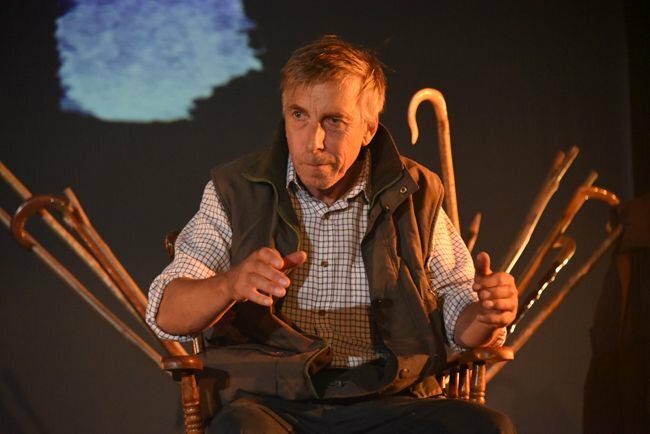 Black RAT's latest production will be touring South Wales this summer! Following successful productions of A ZOO STORY, MISS JULIE and OEDIPUS, A MIDSUMMER NIGHT’S DREAM is Black RAT’s latest offering to tour South Wales. With a thirteen-strong cast, this lively & energetic version of ‘The Dream’ guarantees all the fun, farce and mayhem of Shakespeare’s best loved comedy. Do you want to get involved with NTW? Do you like playing? Call for Hide and Seek Sandpit Participants! 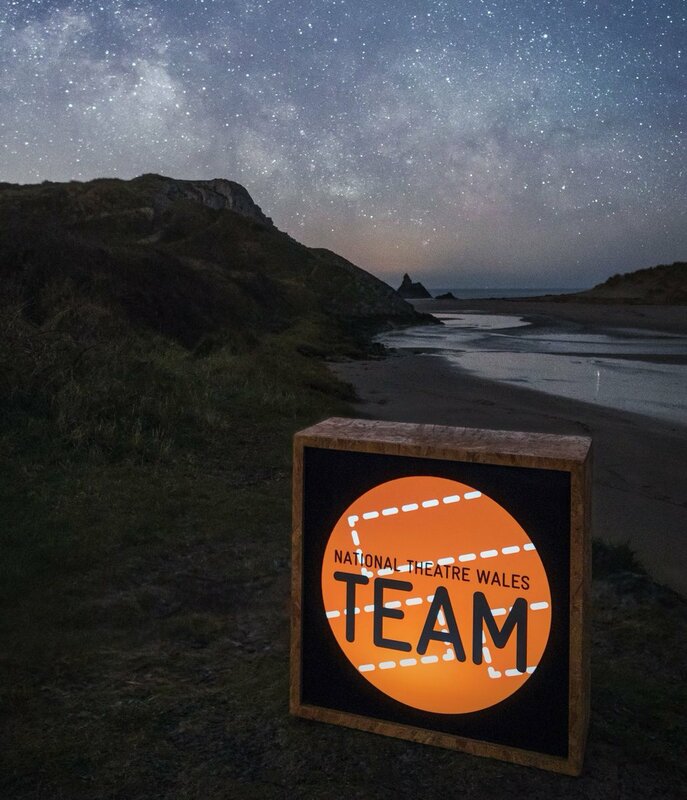 On Thursday 2nd July, we have got one of our first National Theatre Wales events and we would like you to take part. It's called SANDPIT and it is organised by us, with Hide and Seek, a London-based company run by Alex Fleetwood. I was wondering if I could ask some people's advice? I was wondering if it's possible to invite literary agents or something along them lines to the SpringBoard event at the Sherman, to see my play, Sunflowered? If it's possible, how many are around in Cardiff, what's the best way of approaching this.. etc. Not a very exciting post title I know, the world of blogging is unchartered waters for me. Excited to join this world and that of National Theatre Wales community. What a great idea and a way to communicate with like minded people. Currently I'm working on the RWCMDs production of Duchess of Malfi on at Sherman Cymru until tomorrow night. GUEST CURATOR to be announced soon, it's going to be a good one. 6 WRITERS, 6 SLOTS, 1 CHERRY POPPER, QUEUING DOWN THE STREET? STANDARD. Find out FIRST here on the new National Theatre Wales On-line Community. Hi all. We are a group of graduates at from the University of Glamorgan and are all based in Cardiff. It is a mixture of young British theatre makers who have worked on a script by a new group of writers. It is a stage comedy based around a TV chatshow, with surreal characters and situations. Although this is not a show for the easilly offended, we hope it has something for every, also it is free entry. The details are lsited below and hope to see you there. I'm with Nathan - can't work out how to post an event, so have to plug it in a blog post instead. Script is running a workshop entitled Unearthing the Bomb: Writing Political Theatre at the Courtyard Theatre, Hereford, on Saturday 13th June 2009. Today i was looking at pictures of the National Theatre of Wales' shop in the arcade where everyone went and had crepes. It was nice to see so many familiar faces that i could put names to. I saw Gareth Bale and Mared Swain and Stephen Burkitt-Harrington. That is three faces and nearly enough names for four people thanks to Stephen. I saw the backs of some heads which were also familiar but obviously harder to put names to. Ooooh this is my first ever ever blog! Well we've been on tour since March with a show I wrote for Theatr na n'Og called 'The Boy, the Chick and the Golden Egg' or in Welsh, 'Y Bachgen, y Cyw a'r Ŵy Aur'... It's been a lo-o-o-ot of fun! For anybody who's already seen it, well I really hope you enjoyed - for anybody who's yet to see it, time is short but I really hope you will enjoy! Can't find how to add events, so I am doing it this way. To attend then please get in touch via email or phone Llanover Hall on 029 2063 1144. The Flurry of Florence, long-form, Y Llofft @ Chapter Arts Centre, 7:30pm. Phone Chapter Arts Centre: 029 2030 4400. Intensive weekend workshop is on Saturday 13th June 09 to 14th June, starting at 10 AM till 4PM @ The Annexe, Ebenezer Chapel, Charles Street, Cardiff CF10 2GA. This workshop is suitable for beginners to improvisation and performance. It's free (always good!) and there should be a much larger site-specific piece to follow around Christmas time, touch wood! This is my second play which I wrote as part of the Sherman's New Writing Course last Autumn. It's getting a public rehearsed reading as part of Egin: Springboard at the Sherman. Please feel free to come along and hold my hand.